The day after rifle season ended last fall, Elga was walking the dog out back and spied a deer lying on fresh snow, rump shot and available to the highest bidder (me!). At the moment, I’m sitting at the window dining on venison steak cut in half-inch slices, rubbed with olive oil and sweet and smokey chipotle rub. Life doesn’t get much better. I’ve been making vension jerky in the Traeger smoker that Elga bought last year. I try to keep little baggie in my briefcase for those moments when my tummy rumbles. I’ve been posting at other sites recently and thought I would put up links to a few stories and “blurbs.” My life flies by so fast that there’s no way I could keep up in multiple places, so shortcuts and “double-dipping” are my salvation. Hi all. Just a heads up that Elga’s website for Mad Women In The Attic, her stained glass and metal art business, has been launched. It’s awesome! Plus there’s a really cute picture of her in her bio. Before I go out to finish tearing apart my tractor so I can get a part welded tomorrow and keep working on the new pig enclosure, I thought I’d share a few words. I went to granddaughter Savannah’s dance recital last night with Nicole and Conner. It was fun, but I confess I had completely forgotten the culture of the dance recital – bouquets were being handed about, seemingly back and forth, continuously. May was busy with the biggest event being my annual teaching of ecology and geology on the CT River. I started teaching that course in 1983, and along with other adventures up on the river, have now spent over 340 days on those waters. We digitized the course this year, capturing lectures and labs before leaving for the river, and then all the ecosites, geosites and data sessions as well. Not sure what will come of it all. We’re thinking supplements for teaching, an online science literacy course, tutorials for travelers, and YouTube clips galore. Thursday I head west to meet up with Sergio for the Goldschmidt Conference in CA, followed by a Sierra Nevada field trip with Allen Glazner. After that I’ll be home less than a week and head down to NYC for a dog-and-pony show at Apple’s NY Headquarters before taking the train down to D.C. for CUR business meeting followed by the biennial CUR meeting. We’re presenting a panel how institutionalizing undergraduate research can help develop a culture of research throughout the university. Maybe I should use this forum to report out on how I think it went. We’ll see. Saluti a tutti. Ciao. Summer is flying by. School ended, I taught my course on the CT River the last two weeks in May, flew out to Macalester College in MN and drove back with a used SEM, went to the annual Council on Undergraduate Research conference, and then off to Italy for 3 weeks work, mostly in Pisa writing a couple papers. Gypsy, oldest granddaughter at 25, linked up with me and we visited Pam and Arnaud on Giglio. 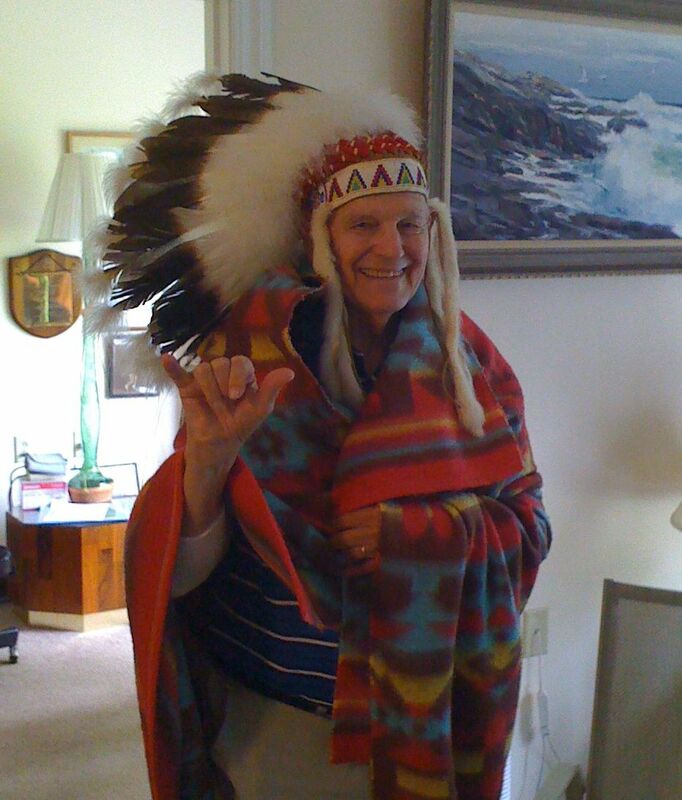 I’m off to a reunion at Wavus this weekend, and then my siblings arrive the second week in August as we prepare for Dad’s memorial service the next weekend. Sandy is sending out the following announcement to those who have RSVP’d, but if for some reason you want to come to the memorial and haven’t let us know, send me a note or just show up. 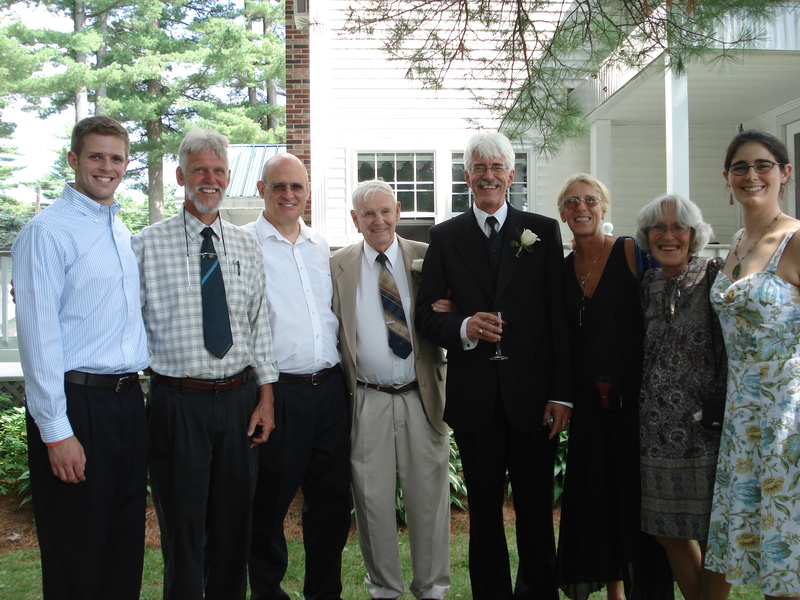 February has flown by, and it just seems that “the faster I go, the behinder I get.” Things are moving forward with planning Dad’s service for August 18th, with several dozen RSVPs having come to Sandy (floofly@hotmail.com). Also, every few days another card or note comes to me via traditional mail, bringing fond memories from my past. Guy Whitten, President of the M-Club in Orono is working with Jack Cosgrove and me to put together a collection for display of some of Dad’s memorabilia from his UMO days, things like trophies, game balls, plaques, etc. Russ Williams at Kieve-Wavus is helping to get a story and announcement ready for their April newsletter. It has also been fun to watch my website traffic ebb and flow as announcements get splashed out there and people go searching. Yesterday brought one of the strangest hits to date, with a search for “dead cat ‘nicotine poisoning’” that led someone to Dad’s Childhood Years chapter, in which mice died after drinking water tainted by submerging a handkerchief that had smoke breathed into it. Makes me want to run right out and do a science experiment, but the prospect of trying to get that approved by the institutional review board is too daunting. 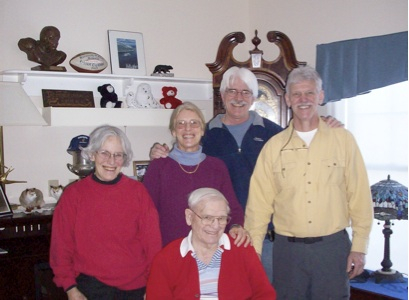 As many of you know, our father Harold Westerman died in Orono, Maine, in December 2011. 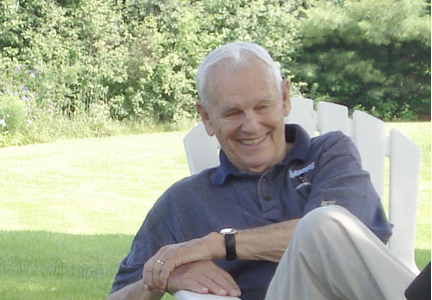 He had a mailing list of many folks from his years as Coach and Athletic Director at UMO, as Uncle Westy at Wavus, and as a friend and neighbor to many people in Orono and in Vero Beach, Florida. We want to take this opportunity to share the loss of this man of great vitality and integrity with those of you he valued so highly. He considered it a privilege to know each and every one of you. So this mailing provides a link to his obituary and an article in the Bangor Daily News Sports Section, as well as a link to his son David’s personal website. 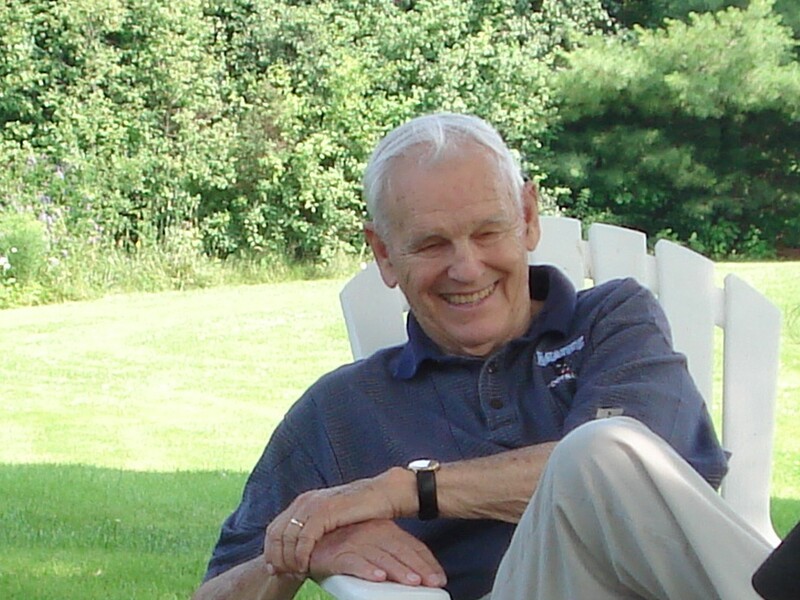 A memorial service for Dad will be held in Orono on Saturday, August 18th at 2:00 p.m. at the Orono United Methodist Church (36 Oak Street), followed by a reception. Any additional information about the memorial will be posted on David’s site. We hope to see many of you there. If you are planning to attend, we would appreciate an RSVP to Sandy Westerman, P. O. Box 608, Port Orford, OR 97465 or floofly@hotmail.com. Please accept our heartfelt appreciation for all of you and the wonderful ways in which you enriched Dad’s life and ours.